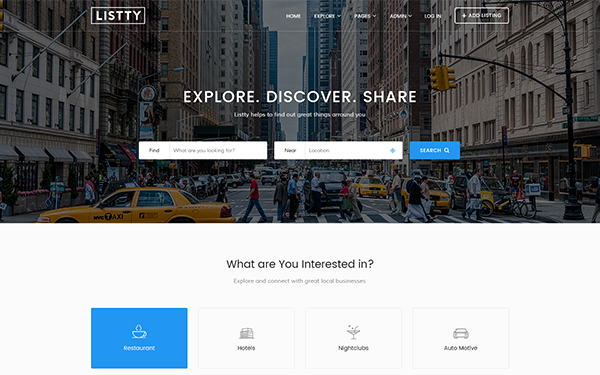 Listty is 100% responsive, clean and modern HTML Bootstrap Directory Listing Template with Google Map API and Admin Dashboard can be used to create business, hotel, restaurant, travel, real estate, car rentals or any general listing website. Inside the package there are HTML files of all pages optimized in order to perform in a simple and fast any customization. Listty is powered by the Bootstrap 3.3.7 Framework which is consistent across almost any device screen resolution. 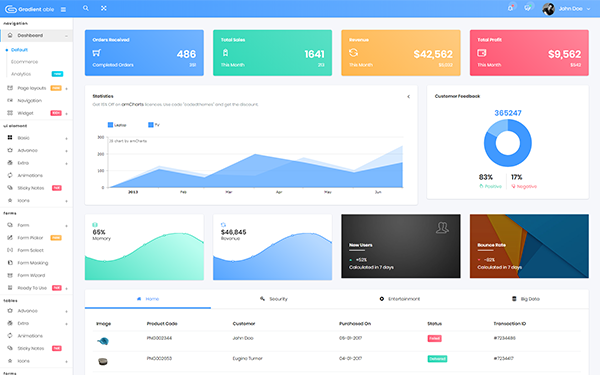 Gradient Able is made using latest Bootstrap 4 Beta framework and it's fully feature riched admin template. It can be useful for every type of project backend - the Main feature includes ready to use dashboards variants, widgets, complete form versions, auth pages, simple and dynamic tables for your better data organization, the vast collection of charts for your data visualization, lots of ready to use apps and extensions. Medwise is a super responsive HTML Medical Website Template designed in Bootstrap 3.3.7. 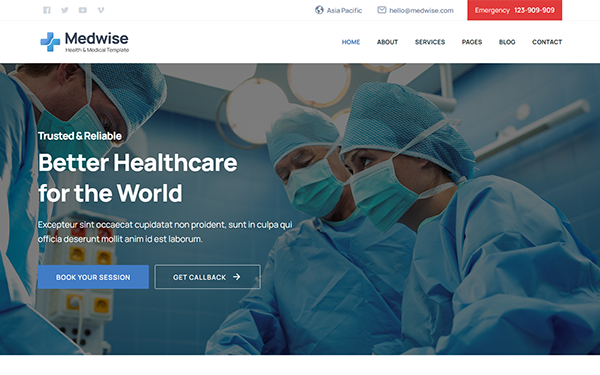 Undoubtedly the most powerful healthcare website template on WrapBoostrap, each element has been thoughtfully designed to match the needs of the healthcare industry across the world. 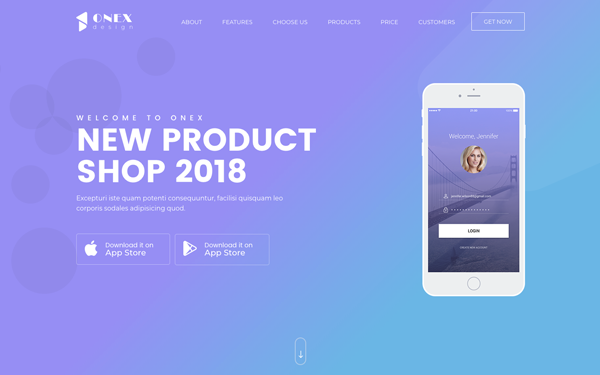 ONEX is a highly creative, modern, visually stunning Bootstrap4 responsive multipurpose one page Saas (software as a service) landing page template. ONEX is well documented, easily customizable, search engine optimized, efficiently coded, developer friendly website template for mobile app, web app, desktop app and software. 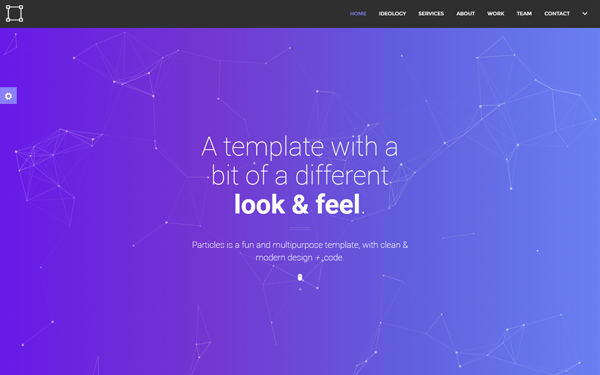 Particles is a flexible and highly responsive personal / agency template with 2 base colors (light and dark) and 8 main color options. Useful for startups, agencies, and personal + resume use. Also can be used for landing pages, portfolios, product launches, and more. Purchasing Particles will allow you to download ALL future updates for free, also full support if you need any assistance.